It may be the Italian in me, but I have always waxed my legs. Or maybe, it has to do more with the fact that I hate taking the time to shave my legs. Why bother dedicating time to it if in just 2-3 days I feel that vengeful, hard stubble growing back? Maybe you are fortunate enough that you can go longer without shaving, or don’t have stubble that grows back like a sandpaper factory on your legs. If you do want a more lasting and hassle-free smooth leg experience (without lasering it to death and spending a TON of money), then waxing is for you. Getting it professionally done though, has pros and cons: its convenient and quick, but it can be expensive and not always the best experience. The type of wax used also makes a huge difference, as some are better at extracting the whole hair rather than breaking it and causing ingrown hairs, and some are gentler on the skin, causing less of a ripped-off band-aid feeling. There are various factors that go into how much pain is involved with waxing. It can be caused by any combination of things, such as quality of wax, waxer’s ability, skin sensitivity, and personal perception of pain. It has also been my experience, contrary to some people’s belief, that going from always (or even sometimes) shaving to waxing does cause a little extra sting-zing the first few times. 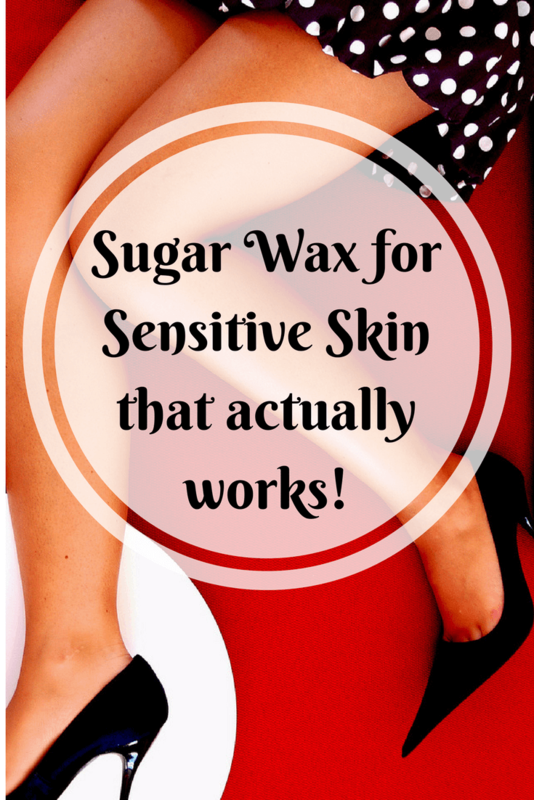 Sugar wax is also commercially sold as an alternative formula for sensitive skin. I think it has to do with the fact that it binds to hairs well, while not sticking to skin too much in the process. One of the major perks in my opinion though, is that its water soluble. This is important because if you happen to accidentally drip some on the floor or somehow get it on your clothes, like I inevitable do every time, you’ll find out that the non water-soluble kind is IMPOSSIBLE to remove and can make irreparably sticky and ruined whatever it touches. Well, the short answer is that its super easy to make and uses only simple ingredients you probably already have. Sure, you can buy it, but my goal here is to make less waste, save money, and know exactly what I put on my body. Plus, once you realize how easy it is to make, you’ll find it silly to go out and pay money for it. There are tons of recipes out there, and I initially tried making the wax that is supposed to work like putty that you press onto, and rip off of, your skin, but that didn’t seem to work for me- it got a little sticky on my hands after a while and wasn’t really that effective. So, I went back to using strips to assist with removing wax, and that worked much better. The other thing I did was to go against all recommendations and use raw cane sugar instead of white. This seems to work better by keeping the formula the right consistency for a longer period of time, but white sugar is a good alternative if you don’t have any cane sugar around. Put all ingredients in a pan and heat it on your stove at the lowest setting. Constantly stir the mixture until you notice all the sugar granules have melted. At this point it will start to slightly froth or make tiny little bubbles, and you want to continue boiling it for about 5 more minutes. You don’t want it to overheat or burn, so make sure that you continue to stir and don’t let it make big bubbles. Also, make sure to constantly keep an eye on it, the mixture has a tendency to overflow with bubbles if unchecked. If you used white sugar, you know its ready when it reaches an amber-brown color. With the raw cane sugar, you’ll just have to rely on boiling it about 5 minutes beyond melting time. The more you make it, the more you’ll learn when its done. First of all, remember that you just made liquid sugar- it can BURN your skin! I leave it in the pan I boiled it in, but you can transfer to another container if you prefer. Ideally, the container should be insulated to hold heat or it provides heat so that the mixture remains warm. You can use any creative utensil to spread it, but I directly use a wooden tongue-depressor (fat popsicle stick) to spread it on. Let it cool at least 10 minutes before you even attempt to test it on your skin; if you scoop some up and let it drip, it should no longer seem liquidy, but it should start getting a honey-like consistency. Test only a tiny ‘smidge’ of it (like a drop or less) onto your skin and see if the temperature is ok.
Once you have the right temperature, spread the wax against the direction of hair, slap on a wax strip (discussed below), and with one quick motion rip it off in the direction of your hair. Most waxing techniques tell you to spread wax towards the direction of hair and rip off against the hair grain, but for some reason the opposite works well with sugar waxing. Make sure to finish off with a soothing moisturizer, like the jojoba moisturizer I discuss in another post, and regularly practice body brushing for extra radiant legs! If the wax seems too liquidy even when cooler, then maybe it hasn’t boiled down enough. Try boiling again for another 5 minutes. If the wax has cooled off and become too stiff or ineffective before you finished using it, warm it up on the stove again 3-4 minutes. I prefer raw sugar for this specific reason- it tends to remain a good consistency for longer. You may have also used too much lemon or water if the mixture seems a little too gummy or leaks through the strips. Try boiling it again a few more minutes. The directions here were a little lengthy, but after just trying it once, you’ll notice its super easy and effective. As an odd bonus, try tasting your sugar wax… its surprisingly delicious!